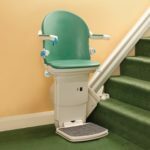 Are you someone who would truly benefit from having a curved or straight stair lift added to a stairway in your north Georgia home? 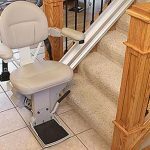 Many people would enjoy much greater safety and comfort in their homes if they were to simply have a stair lift installed rather than believing some of the popular myths about stair lifts that serve as a discouragement. 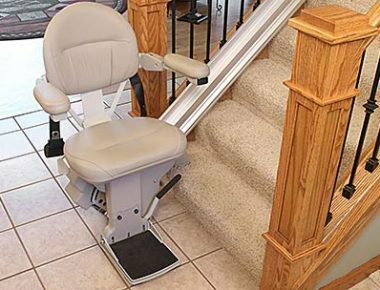 Don’t believe these common myths about stair lifts! Myth 1: Stair lifts are just for older people. As I’m sure you have discovered, pain and mobility issues can affect anyone at any time. A stair lift provides accessibility at a time when mobility is needed, and restores accessibility to the whole house, and the outdoors. Myth 2: Stair lifts are too expensive for most people. 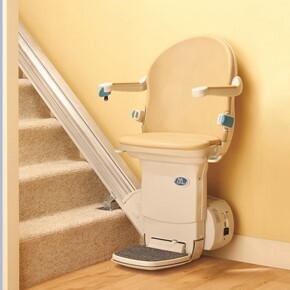 To have a straight stair lift installed in your home (for most stairways) can cost as little as $3,200. Most homeowners choose a model in the $3,200 to $3,500 range. Prices quoted will include materials, installation, the inspection and permit (required in the State of Georgia), and the warranty. Myth 3: My stairs are too narrow for a stair lift. Another popular myth about stair lifts is a concern that the stairs are too narrow. While we know this is a possibility, it is very unlikely. Today’s stair lifts fold up to a very compact size, as low as 11 and 12 inches when folded. Myth 4: A new stair lift will make the stairway unusable for others. 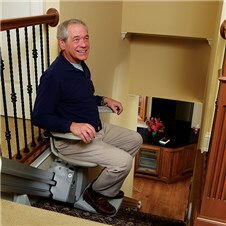 Again, this is no longer a concern with modern stair lifts. 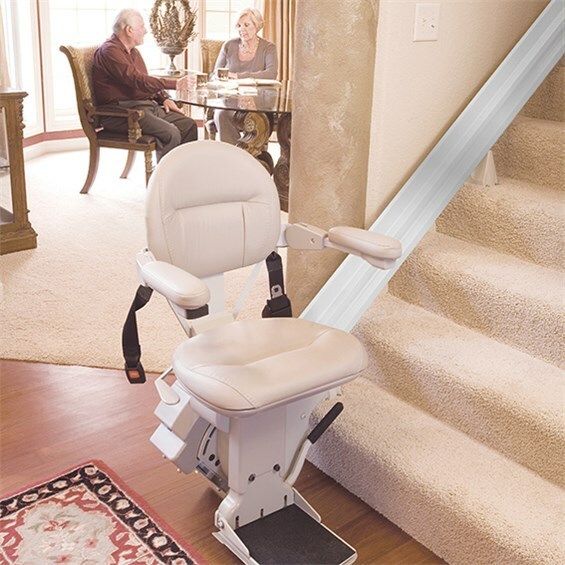 Today’s stair lifts come with a variety of options including an extended rail that wraps around a corner or portion of the stair railing at the bottom or top of the stair, so that the stairway is completely accessible when the stair lift is parked. 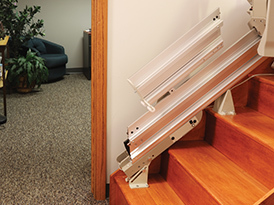 Another option is a flip-up rail that can be added to a straight stair lift to remove the stair lift from the area when there is a doorway. Myth 5: A stair lift installation will require construction or new electrical lines. 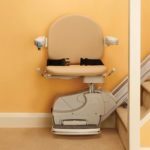 Thankfully, a new straight stair lift installation can be completed in two to three hours, and the installation does not impact the adjacent wall at all. The stair lift rail is mounted on the stairs, not on the wall. Assuming an adjacent outlet is available, no electrical lines need to be run. A curved stair lift can be completed in one day in most cases, and the case is the same regarding the electrical access. Contact us today to learn more about stair lift options at 770.880.3405, or submit your information in the contact form below, and we will call you. Are you looking for other home accessibility options such as ramps, roll-in showers, walk-in tubs or roll-under sinks? This entry was posted in Competitive Atlanta Stair Lift Prices, Curved Stair Lifts, Stair Lift Blog, Straight Stair Lifts and tagged common myths about stair lifts, indoor and outdoor straight and curved stair lifts, stair lift installation atlanta ga. Bookmark the permalink.